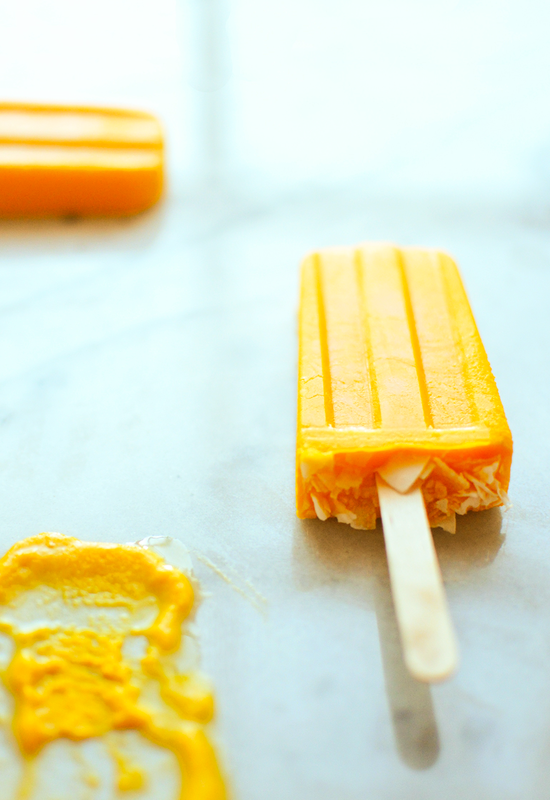 Nothing screams summer more than... popsicles on the patio! 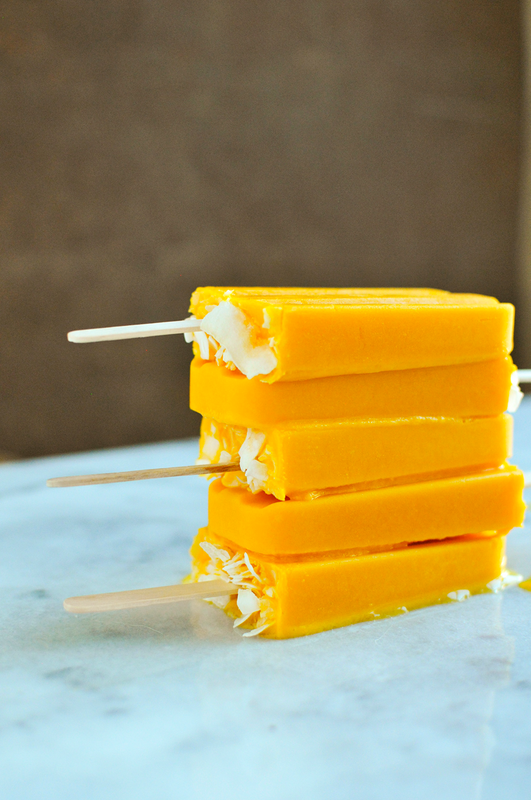 You will love these tropical sunrise veggie pops made with Silk's new Toasted Coconut + Cashew Nutchello -- They are bursting with tropical flavors and packed with fruits and veggies. Seriously, so many... like pineapple, carrots, oranges, and even sweet potato! We live for summer days around here. I mean... just look at that face! Pure joy. 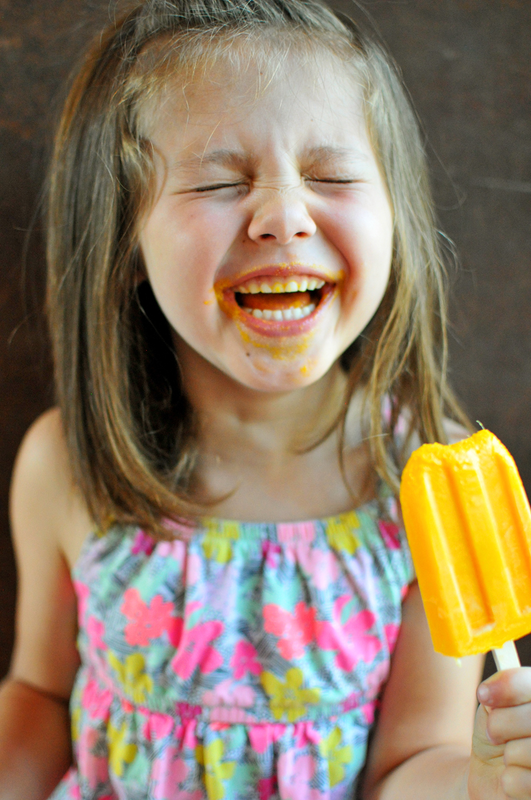 She was especially excited because I let her have POPSICLES FOR BREAKFAST. Why not?! They're so nutritious. 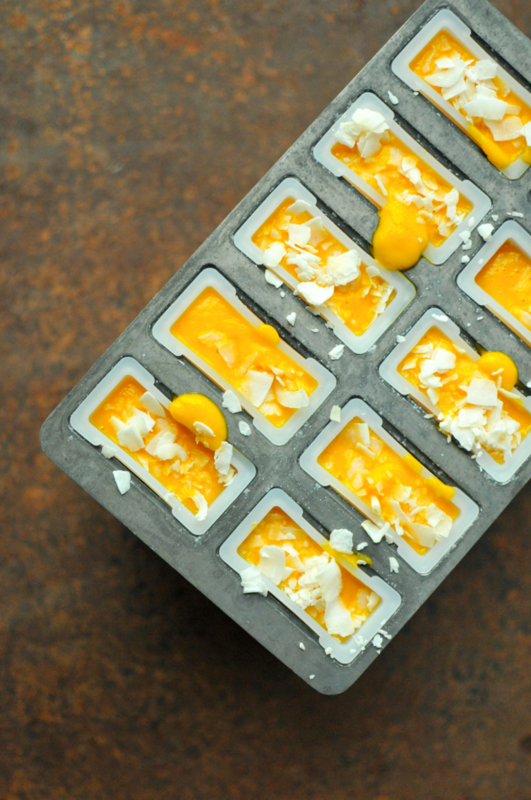 Just give everything a whirl in your Blendtec (or other high speed blender) and then pour them into the popsicle mold. Freeze and wait for a few hours (torturous, but worth it!!). Then, devour. *To make a "grown-up" version, try adding in a shot of rum to the blender. Oh my starzies, so good!!! Be sure to sign up for Silk's newsletter to keep up with new product offerings, recipe ideas, get coupons, etc. This is a sponsored conversation written by me on behalf of Silk. The opinions, recipe, beautiful food photography and text are all mine. Thank you for supporting brands that support Nosh and Nourish!! I choose them based on what I already cook/create with and feel 100% confident in recommending to you. *I microwaved half a sweet potato for 3 minutes, until soft. 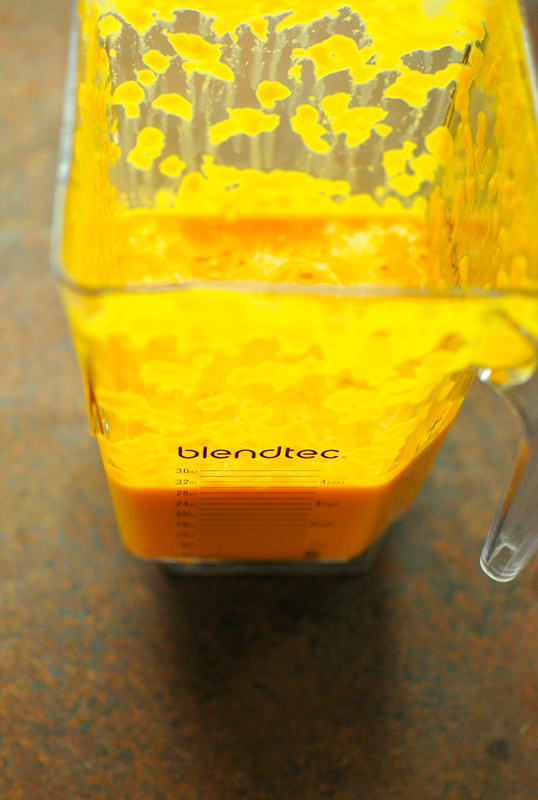 Then added it in to the blender hot -- and used the "soup" functionality on the blender. You could also cook the sweet potato ahead of time and let it cool first before blending. Combine all ingredients, except the shredded coconut, in a high speed blender. Blend until smooth. I used the "soup" functionality, since I added the hot cooked sweet potato into the blender. Pour into popsicle mold. Top with shredded coconut.